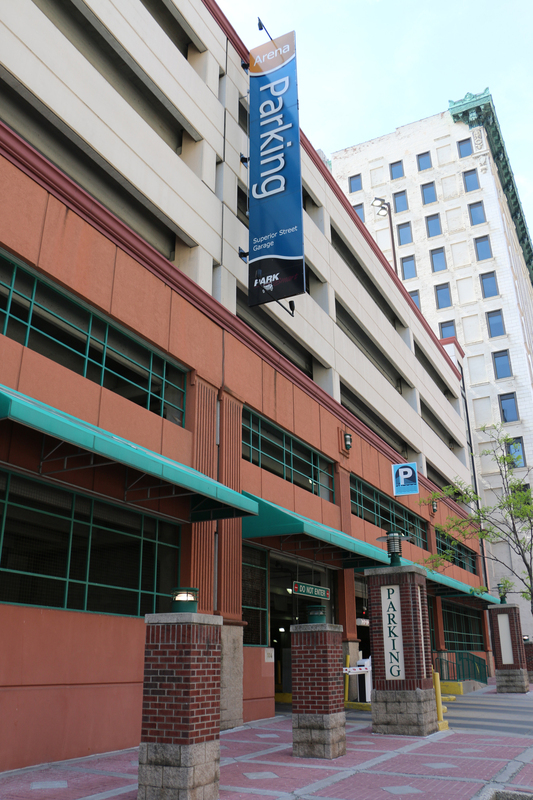 An award winning structure of the 2001 International Parking Institute Award of Excellence, this garage is located on Superior St. between Madison and Adams. The newly expanded facility is adjacent to the Ohio Building and near the Gardner Building, HCR Manor Care Headquarters, and the Valentine Theatre. Entry is on the 300 block of Superior Street or the 300 block of N. Saint Clair Street.